Macquarie Graduate School of Management (MGSM) is the graduate school of management associated with Macquarie University, Australia. 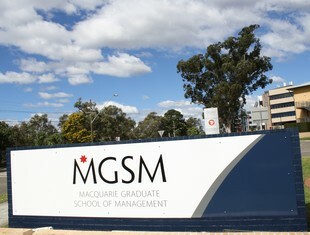 MGSM is one of the oldest business schools in Australia and is one of the few remaining autonomous ones in the country. MGSM has campuses in North Ryde (located on Macquarie University campus), Sydney’s CBD and Hong Kong. The school’s mission is to develop leaders with a global mindset who create sustainable value and are good citizens.